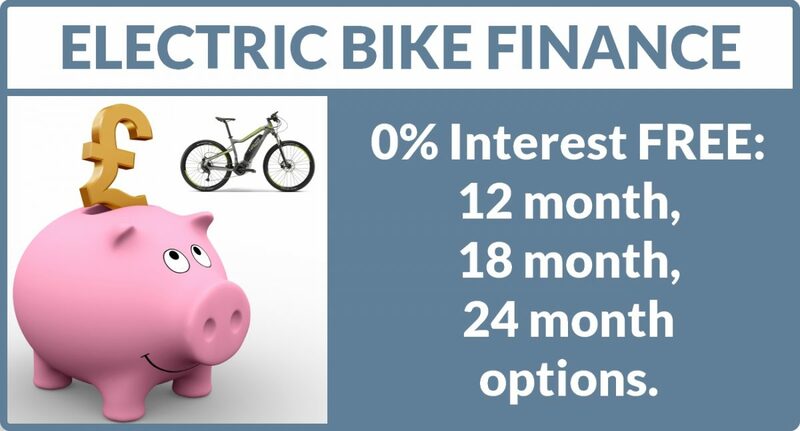 Interest FREE finance is available from OnBike on all electric bikes, and is provided through the V12 Retail Finance organisation. They are authorised and regulated by the Financial Conduct Authority. There’s no doubt that quality electric bikes are well worth investing in, rather than the false economy of budget brands. This however can raise the question as to how best to fund a purchase. The beauty of interest free finance is that the price of the ebike can be split into affordable chunks, with payments being spread over several months. OnBike currently offers THREE payment term options: 12 months, 18 months or 24 months. Thankfully, there’s now an alternative to meticulously saving over several months in order to accrue a capital sum before then having to part with it in one go! Gone are the days of excessive finance charges, as OnBike is proud to offer its full range of electric bikes on all repayment options, with varying deposits to suit. It’s worth mentioning at this point that all finance deals are subject to status, and not everyone is eligible. The good news is that following a brief consultation, a decision can be made on the day of purchase. No waiting, and no hassle! How is Interest FREE Finance Provided Instore? Very simply is the answer! Getting a decision as to whether customers are eligible for interest free finance can be made in a matter of minutes. OnBike work directly with V12 Retail Finance in submitting a small amount of detail provided by the customer. A decision is made, there and then with no fuss. If you feel that Interest FREE Finance is the right payment option for you, please check out our 0% Finance page for more details.